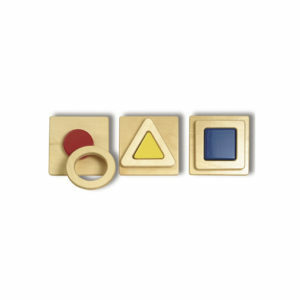 For very young children the tactile exploration of objects in the environment is of most importance. 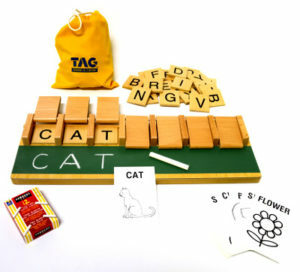 Mental image imprinting through tactile sensory experiences seems to be much more efficient than through the visual or auditory modes. 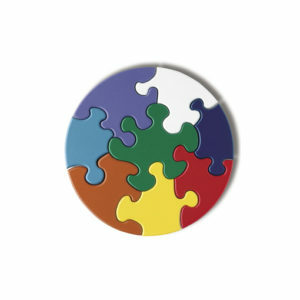 As Maria Montessori advocated, it is through the hand that the child brings in and assimilates the environment. 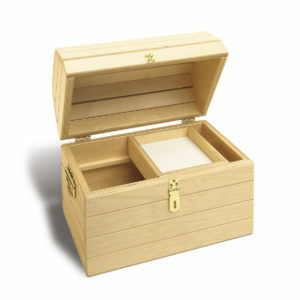 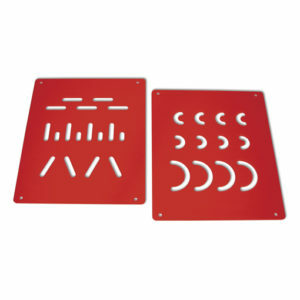 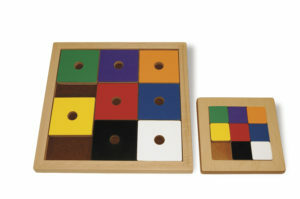 The Mystery Box provides for a wide range of tactile experiences from basic shape recognition to fine size and shape discrimination. 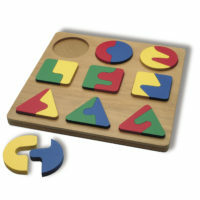 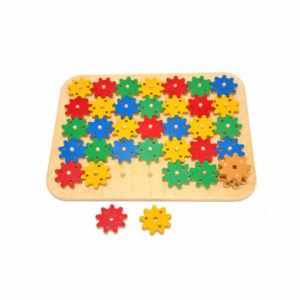 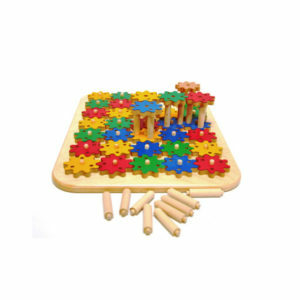 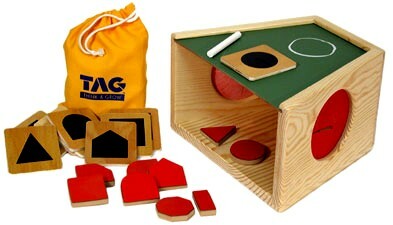 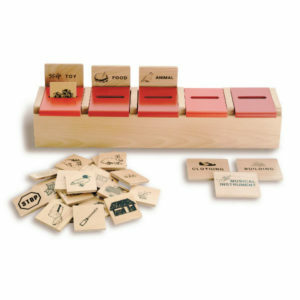 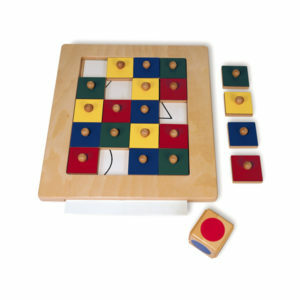 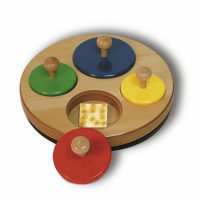 This learning center comes with 10 solid wood shapes and 10 matching shape tiles, and chalk for drawing exercises. 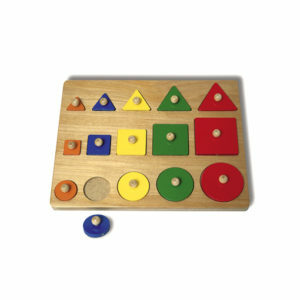 Coordinates visual and tactile sensory modalities. 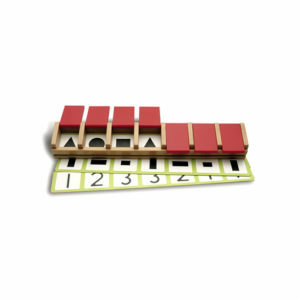 Encourages mental focus and attention to detail.